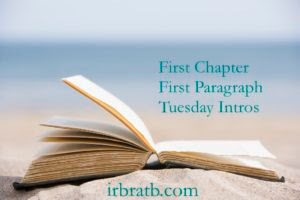 Every Tuesday Vicki at I'd Rather Be At the Beach hosts First Chapter First Paragraph Tuesday Intros, where we share the first paragraph or (a few) of a book we are reading or thinking about reading soon. Care to join us? "My goodness, woman, are you absolutely daft?" Lucy Hannaford bristled at her husband's question. Two months since his retirement from the government tax service had not improved his mood at all. He was quieter now, more relaxed, but the slightest provocation could still bring out the irritability that she had lived with for years. She was used to it by now. His reactions were not nearly as bad as they had been, though there was still the odd moment here and there where she just had to bite her tongue and keep her peace. Now wasn't one of those moments. "It's not just about the weather. Hiking isn't easy." What a combination. Yep, I am intrigued. Sounds like a good story. I'm curious about the tension between husband and wife. This week I am featuring Heart on Fire by Amanda Bouchet. Happy reading! I think I'd have to read a bit more to decide. It looks very interesting though. And the cover is quite different too. Ooh, what an irritating man to live with! LOL. I am intrigued and want to read more, though. I would keep reading. I have this series. That sounds like a fun book. 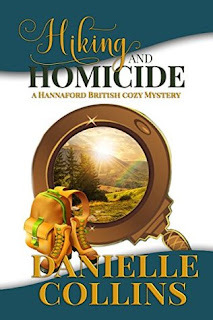 See what I'm featuring at Girl Who Reads. The first paragraph is interesting. At first I thought about how the first part of retirement can be tricky. I think there's somerhing else going on. Worth reading on. The first sentence is so relateable. Since I'm a hiker (and retired), this book immediately appeals to me. Sounds like a fun story!